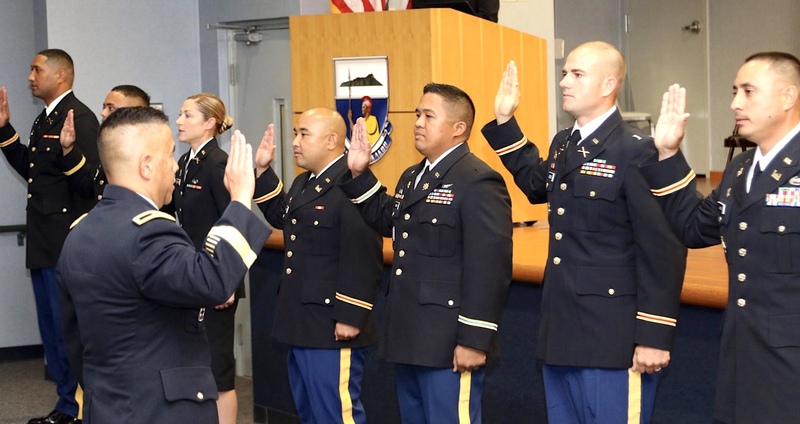 Six new officers and six new warrant officers have joined the ranks of the Hawaii Army National Guard after successfully completing Officer/Warrant Officer Candidate School. The newly commissioned Warrant Officers represent the first graduates from the 1st Battalion, 298th Multi-Functional Training Regiment. Congratulations to the Hawaii Army National Guard’s newest leaders!